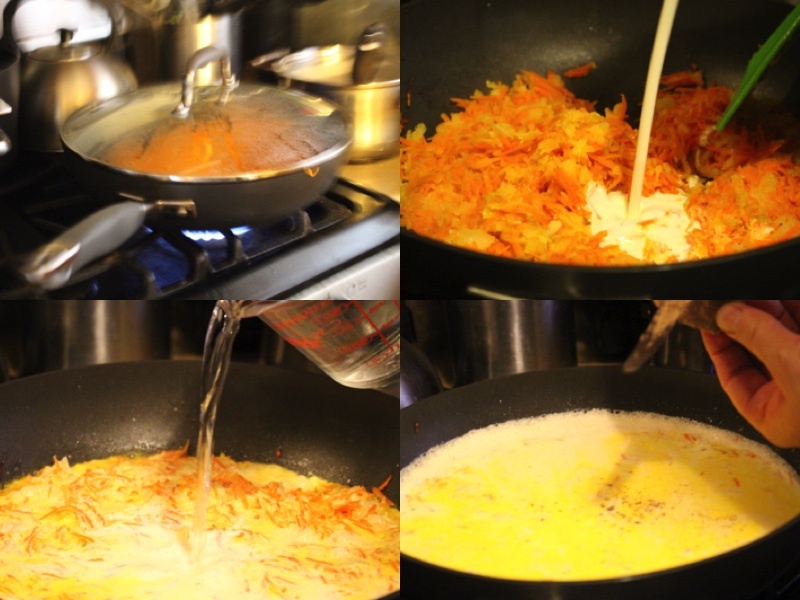 1) Wash all of the potatoes and carrots well and peel them. 3) Let it fry for 5 minutes . 4) Add heavy cream / water/ mushroom seasoning and stir. 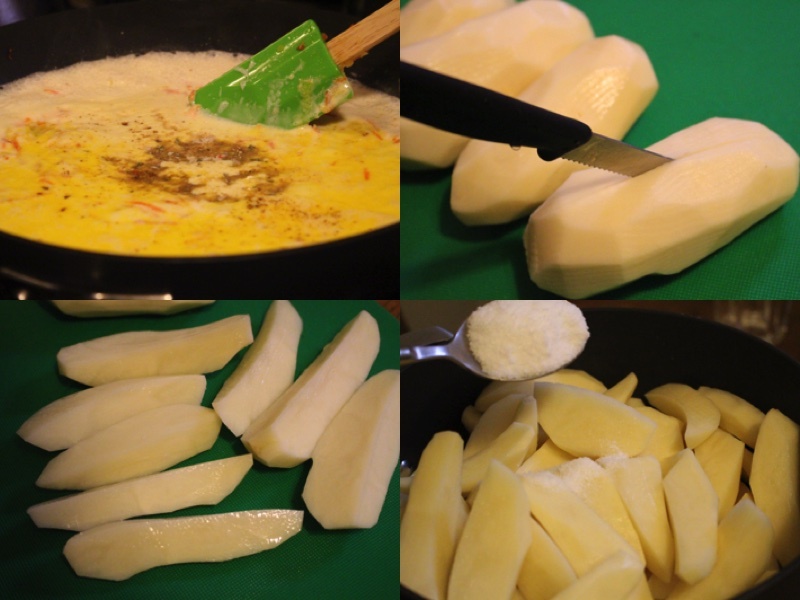 6) Place all of the cut potatoes into a pot and add salt . 7) Add 2 1/2 cups of water into the pot and let it cook until the water comes to a boiling point. 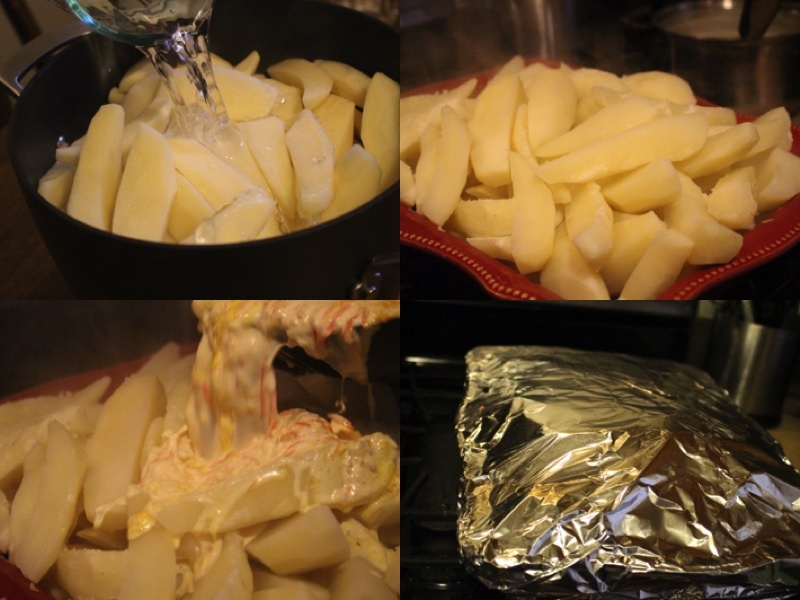 8) Drain the pot and put all of the potatoes in a baking pan. 9)Pour heavy cream mixture that you previously made over all of the potatoes. Cover the baking pan with foil paper. 10 ) Put in the oven and bake at 400F for 1hr and 30 minutes. My favorite way of making baked potatoes and they go so well with so many different things. Give it a try! 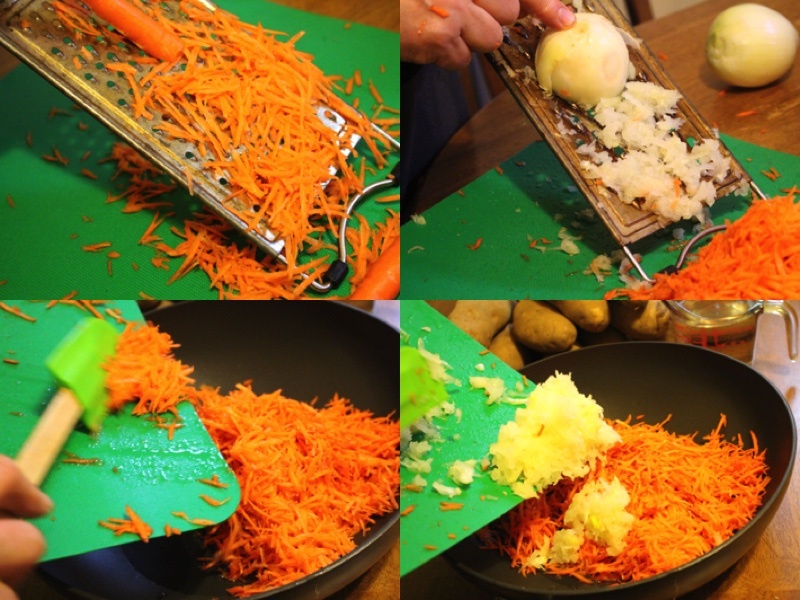 Wash all of the potatoes and carrots well and peel them. Let it fry for 5 minutes . Add heavy cream / water/ mushroom seasoning and stir. 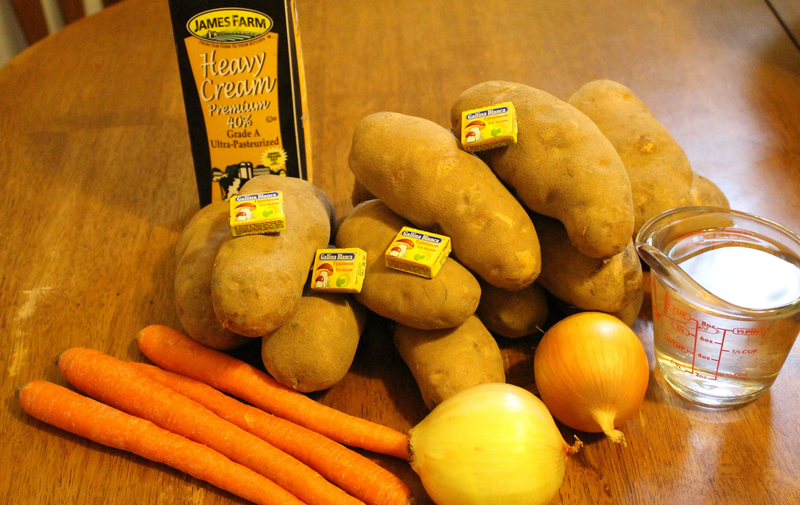 Place all of the cut potatoes into a pot and add salt . Add 2½ cups of water into the pot and let it cook until the water comes to a boiling point. Drain the pot and put all of the potatoes in a baking pan. Pour heavy cream mixture that you previously made over all of the potatoes. Cover the baking pan with foil paper. Put in the oven and bake at 400F for 1hr and 30 minutes. Looks delicious! I make very similar baked potato. 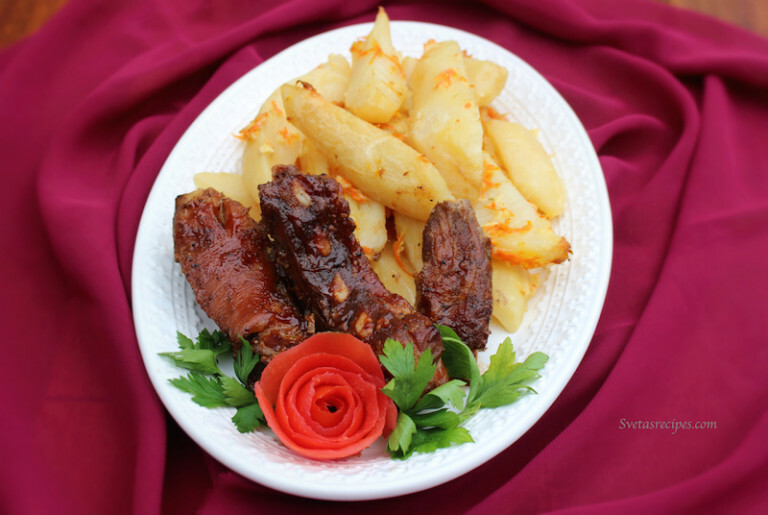 This is by far the best Baked potatoes recipe that i have tried. They come out delicious everytime and I am very thankful to you for the recipe. The Polish Store or Price Rite. I buy them at the polish store. Do you add 4 packages of seasoning or only 4 cubes? Only 4 cubes of seasoning as shown in the ingredients photo.